I am not sure if it has rolled out to everyone yet but it looks pretty good (see below). 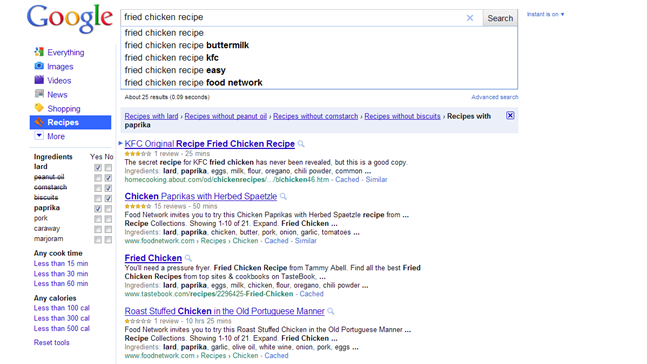 To use it, just put recipe at the end of your search time, such as “Fried chicken recipes”. What a great idea! 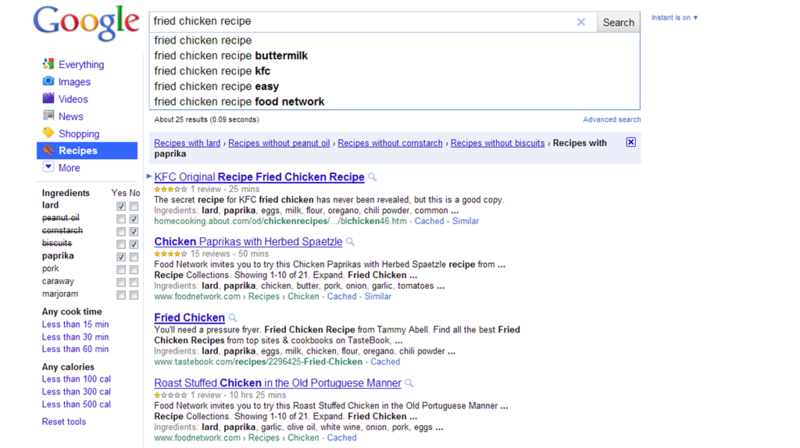 Use google all the time for recipes and have to sift through many to get the right one. Will save so much time.